This landscape heritage study provides a framework to guide future development in balance with historic preservation. 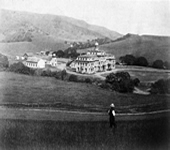 Since 1868, Mills College founders, Cyrus and Susan Mills, and those who followed, thoughtfully and carefully shaped the campus with Picturesque-era exotic and native plantings and with distinguished architecture. 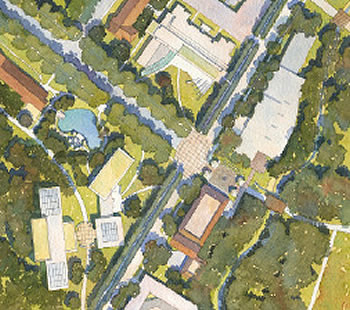 This shared vision of 140 years sets forth a mandate for the future of Mills College to preserve, enhance, and build upon its unique campus setting and its many legacies. Funded by the Getty Foundation, this study defines the essence of a campus’s identity manifested in its physical and cultural characteristics and tests and guides the development within and adjacent to the historic core. 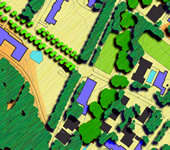 Research revealed important features of the cultural landscape that came about by the creativity of nationally and regionally recognized individuals skilled in architecture, landscape architecture, and botany, respectively, Bernard Maybeck, Julia Morgan, Walter Ratcliff, Jr., Howard Gilkey, and Howard McMinn. The study is published and available through the Mills College Center for the Book. Educational outreach included four public lectures and course curricula.